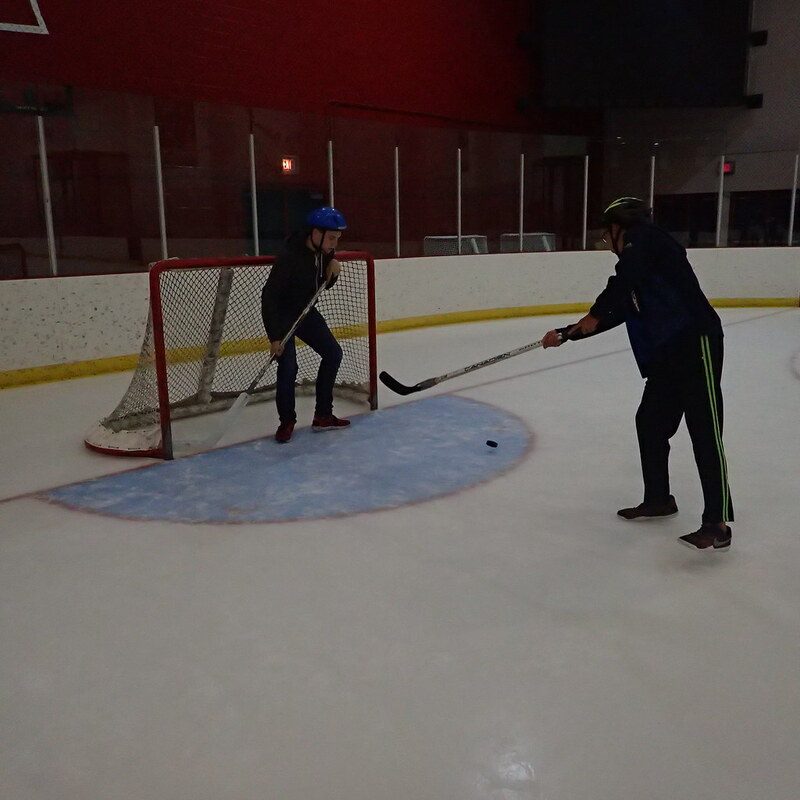 Whispering Northern Raccoons – August 2nd, 2017 – They Shoot… They Score!! 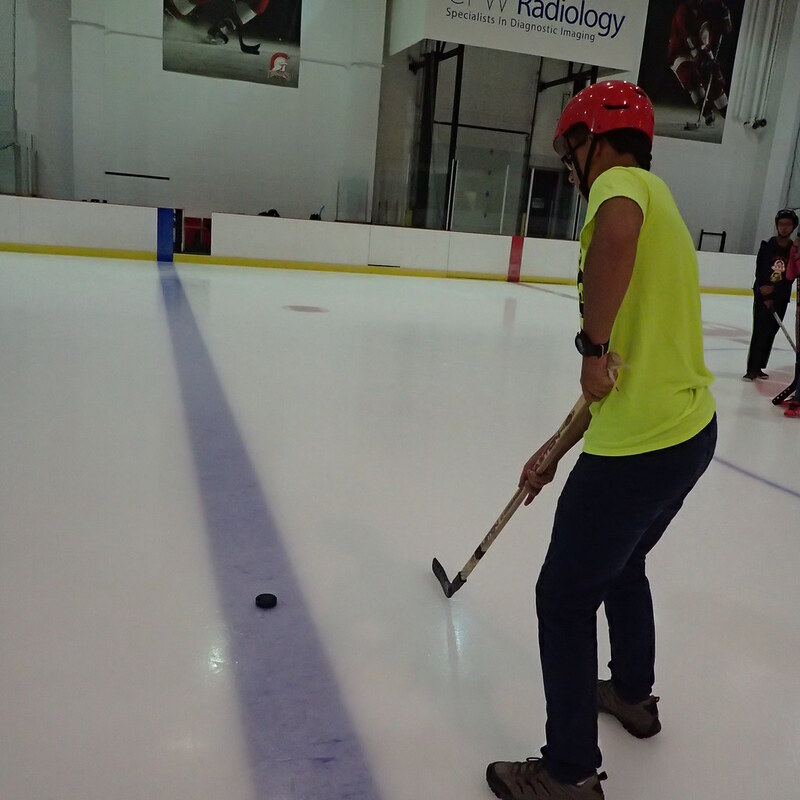 A bright and fresh start for our bushy tailed Raccoons here at Wynchemna! We all gathered around our breakfast tables together eager to hear all about our adventures for the day, and boy did we have a lot planned.Our lessons flew by as we learned about Drumheller in one of our classes, Drumheller is a town we are going to have a field trip to later this summer. 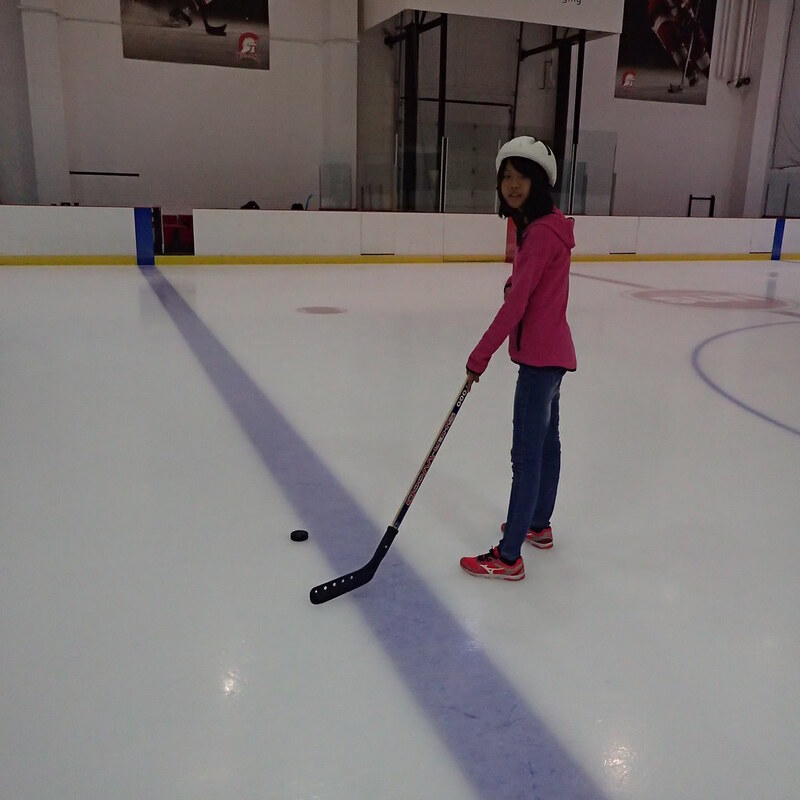 After that lesson all of us are so excited for that day to come, it’s a favourite for lots of students here at Wynchemna! 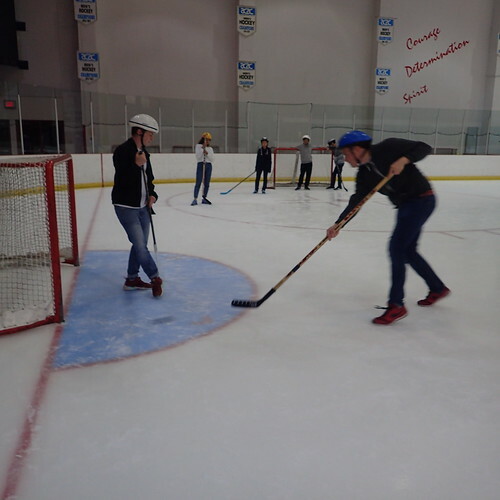 In our other class we had some competitions in a categories game. 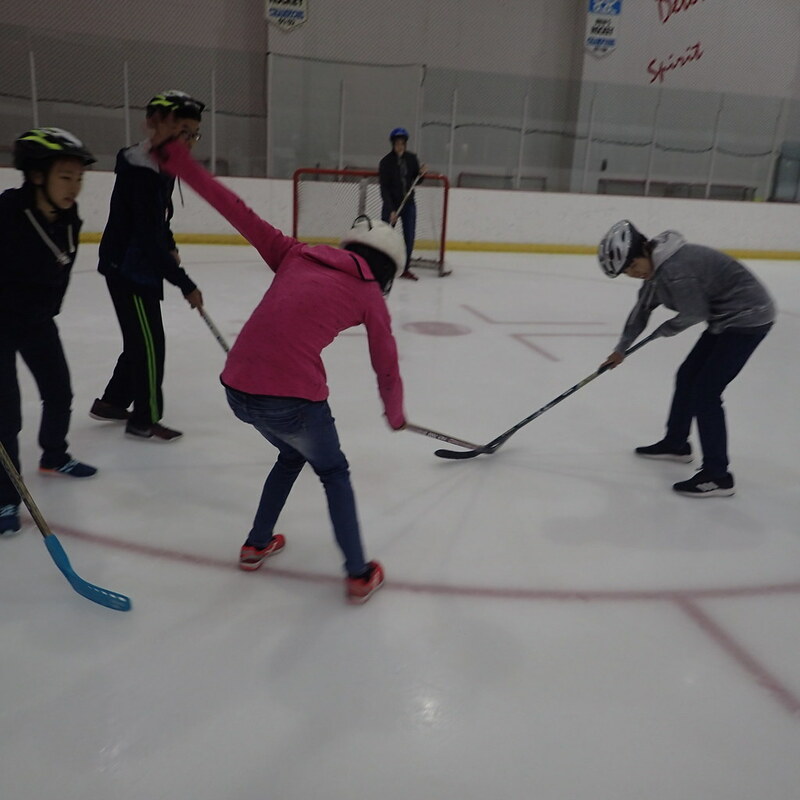 Then we got to learn about different kinds of holidays and festivals we all celebrate in our own countries. 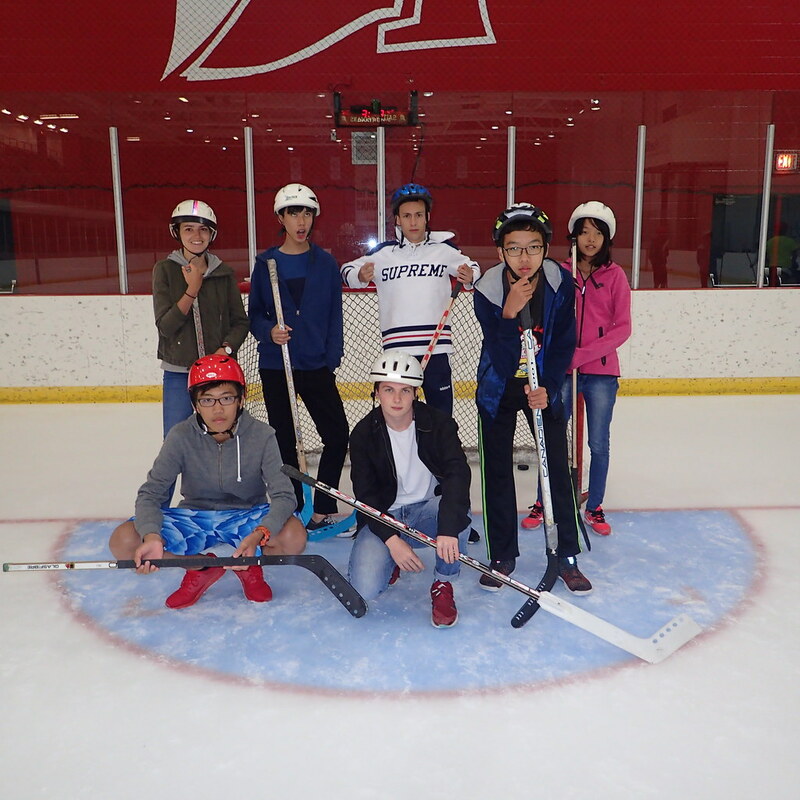 It’s amazing how much our students had to share and how excited they were to share a bit of their culture with one another. 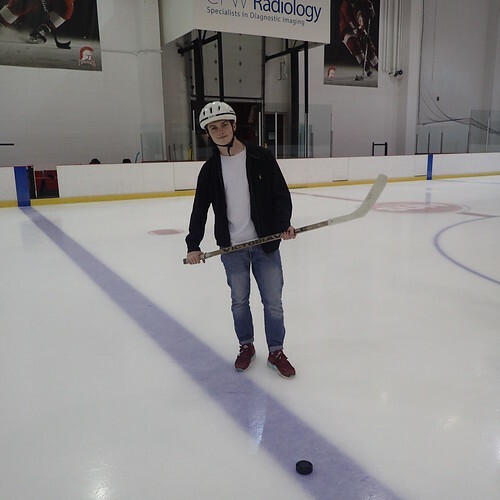 A great way to spend our lesson times together! In the afternoon we were off to play hockey! 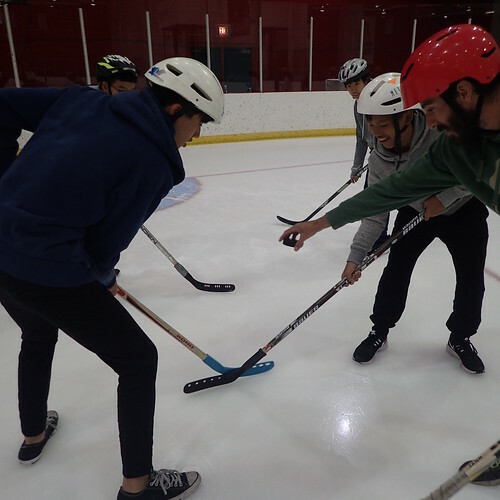 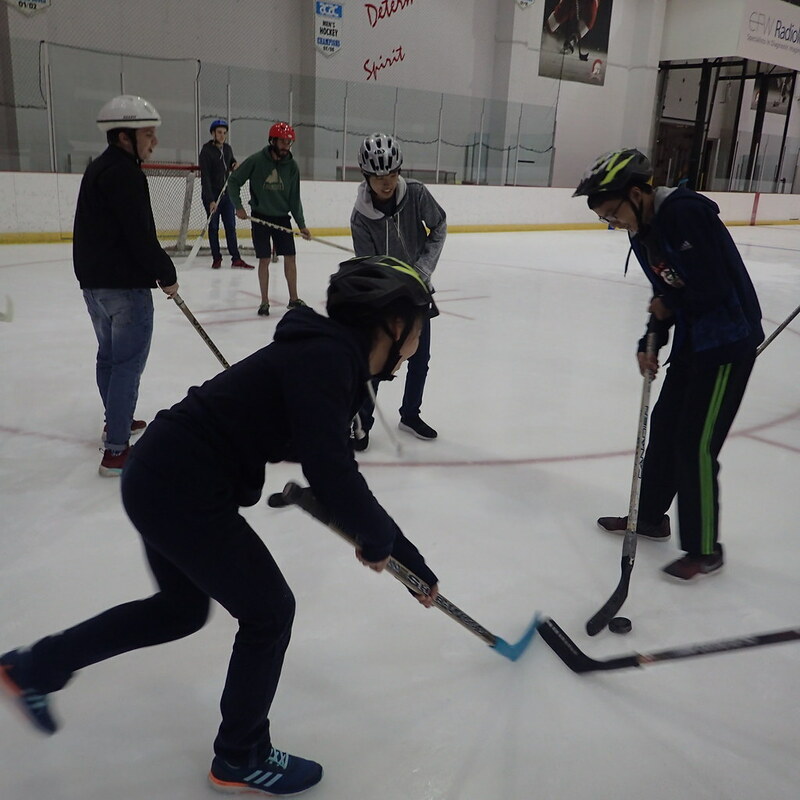 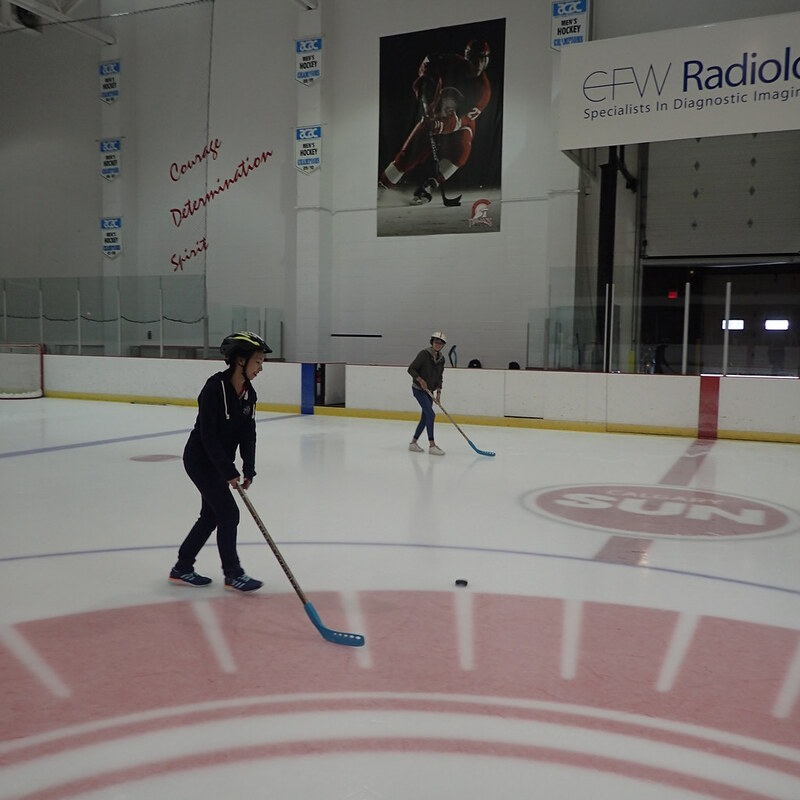 Now we already played some street hockey outside, but what is a Canadian adventure without some good old ice hockey?! 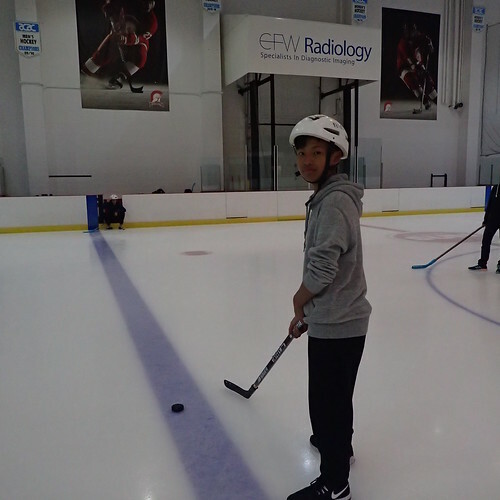 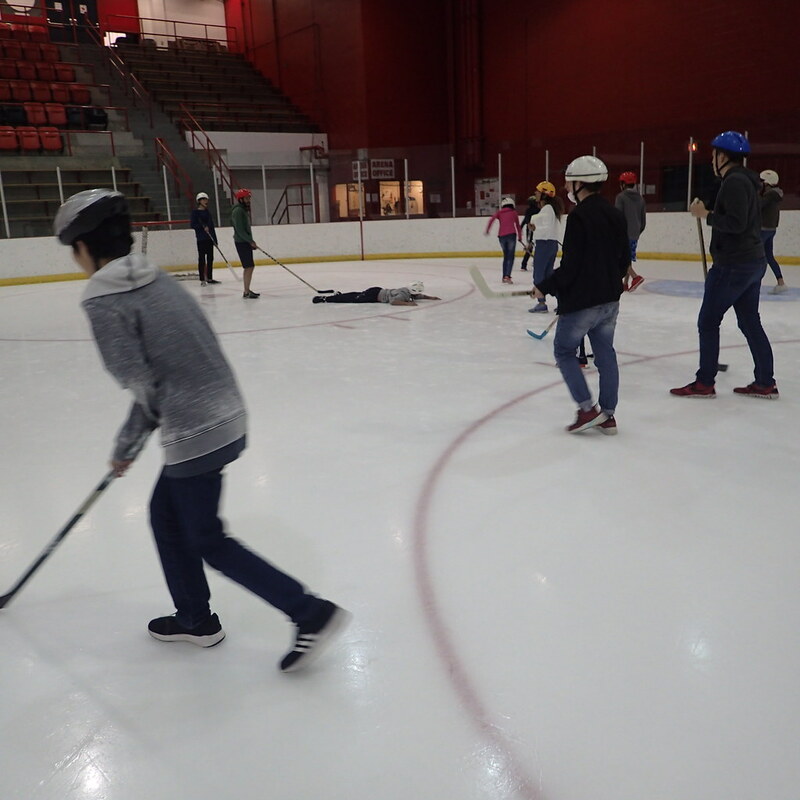 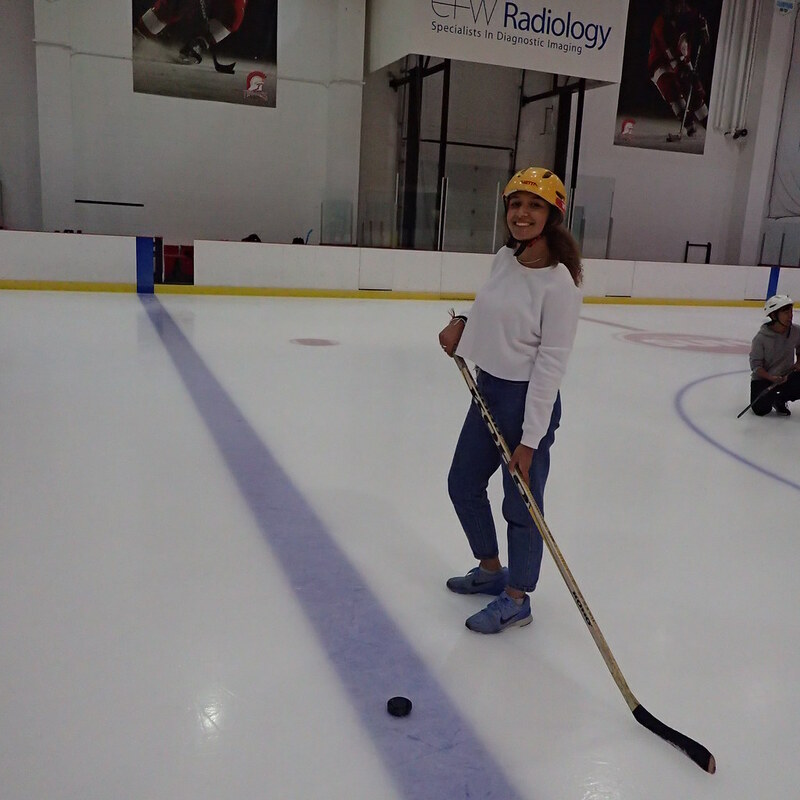 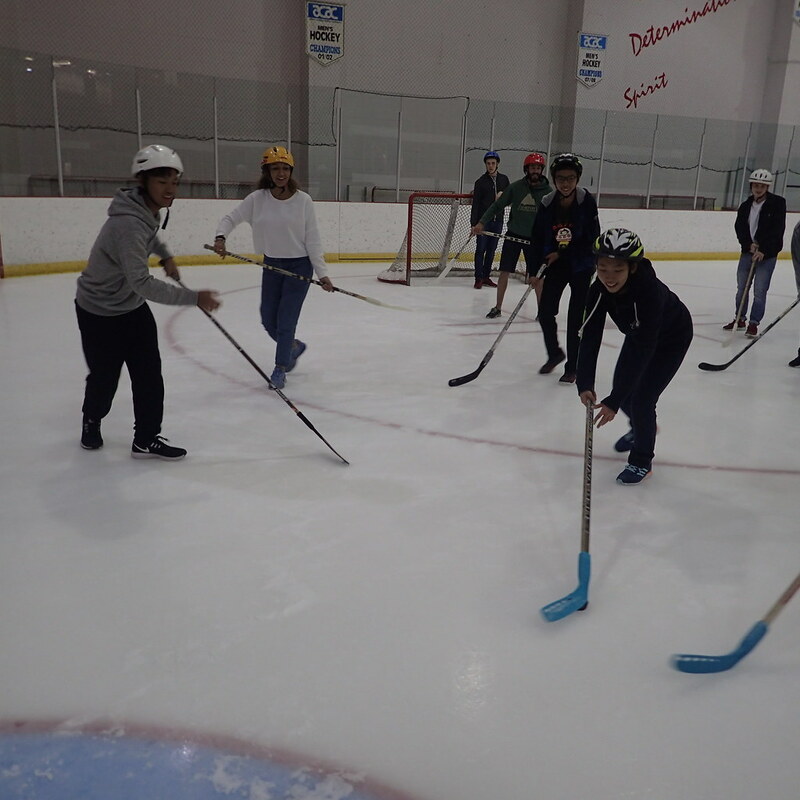 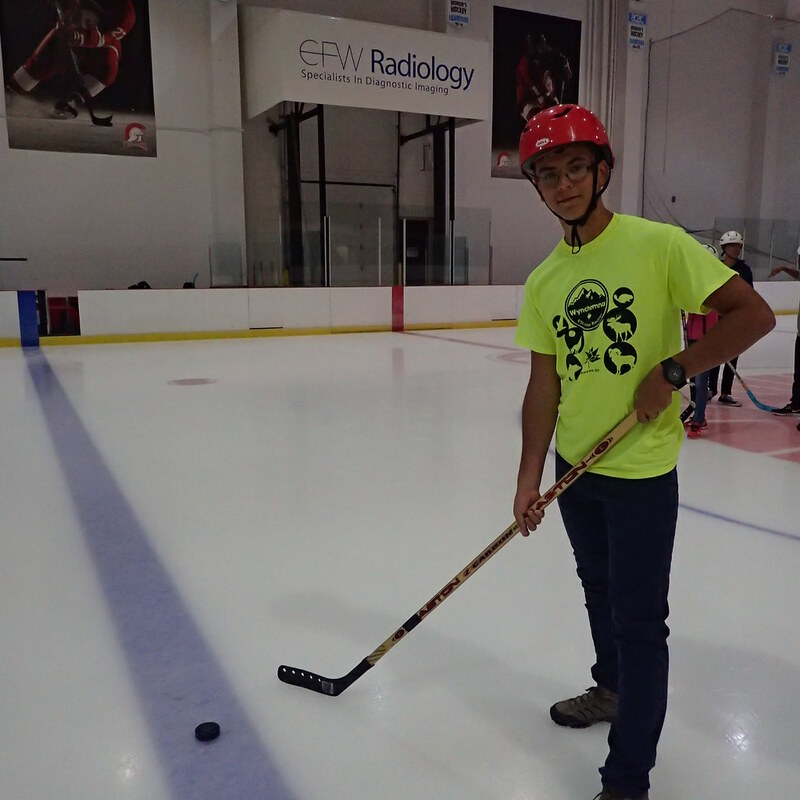 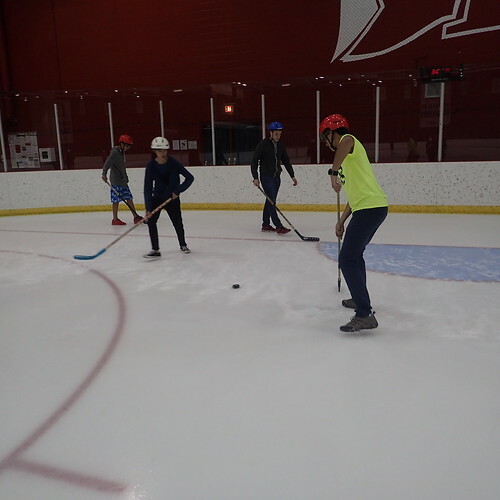 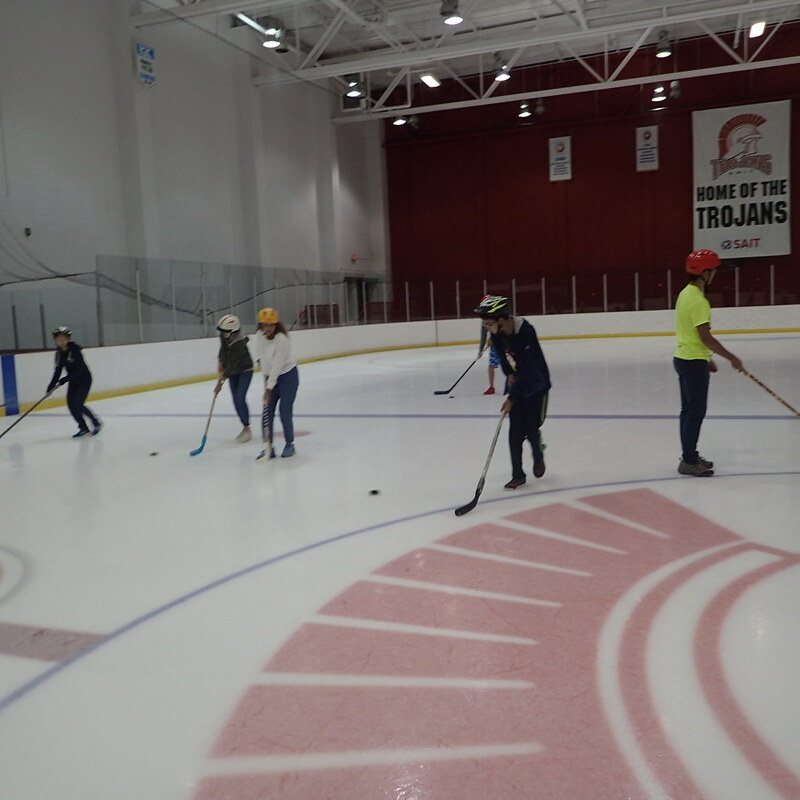 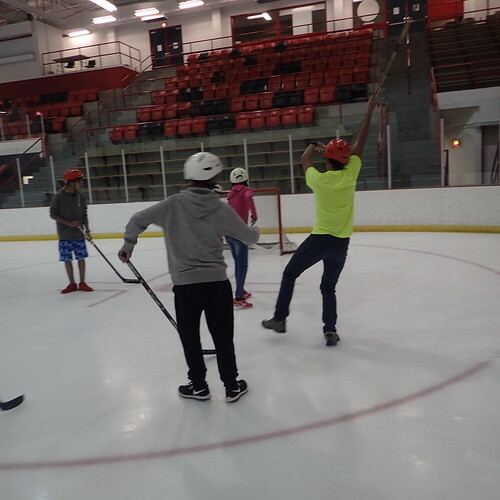 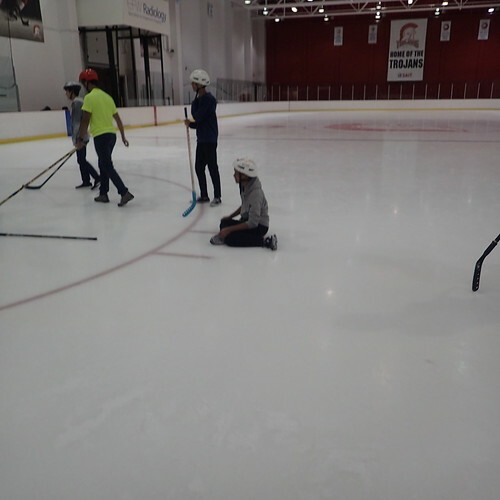 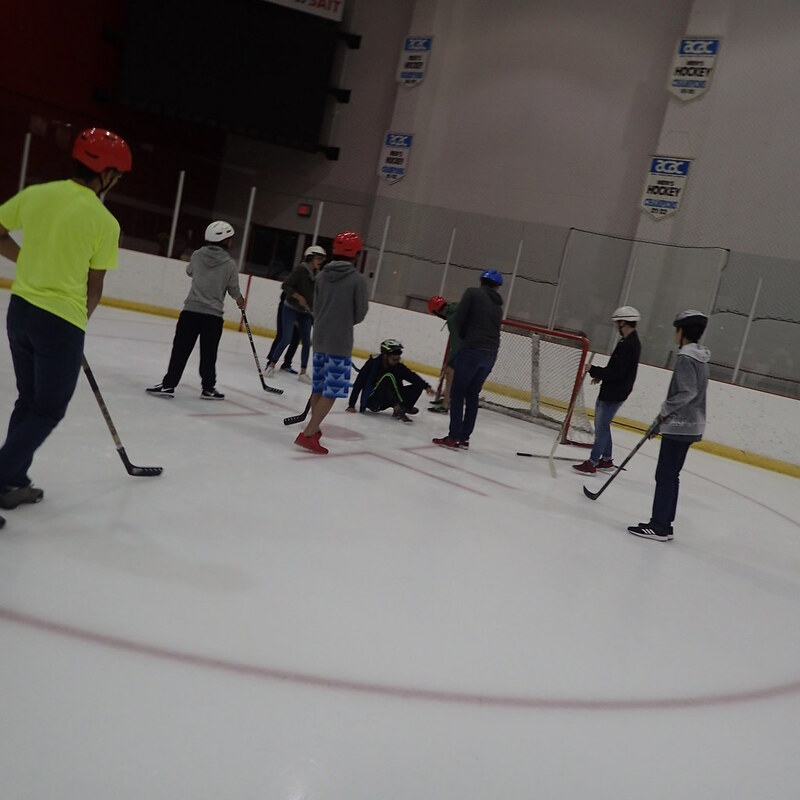 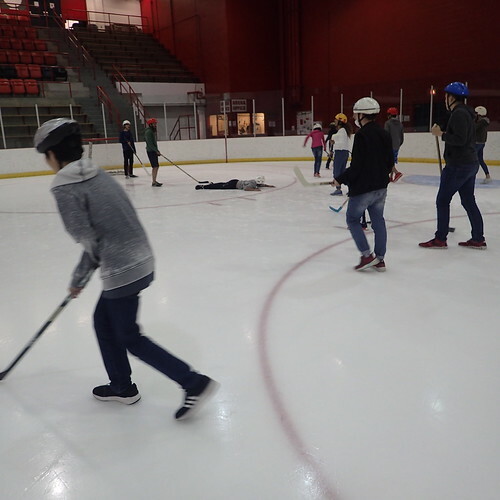 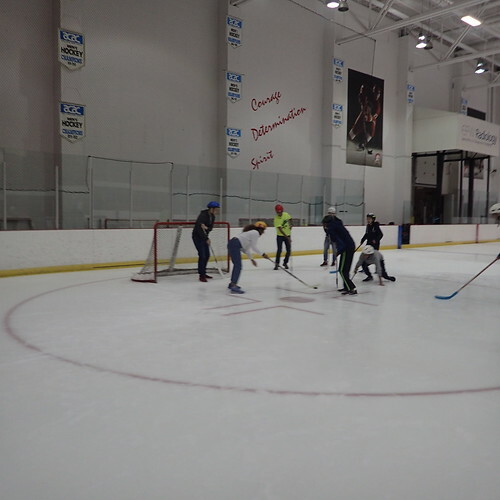 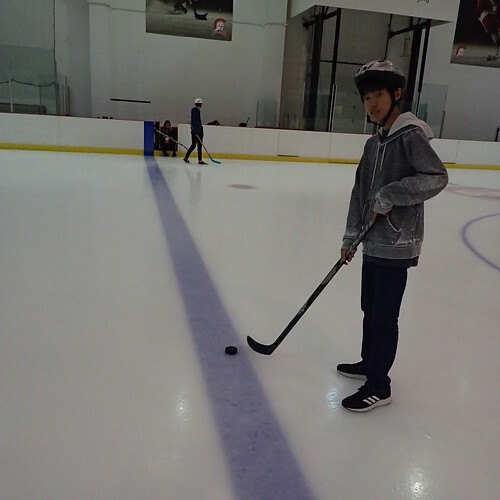 Our students were slip and sliding around the ice trying to get the puck in the net! 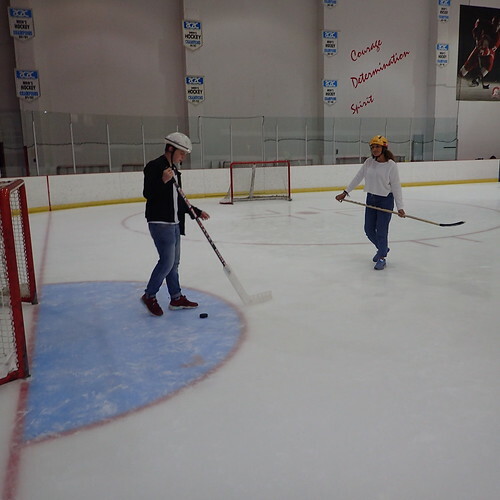 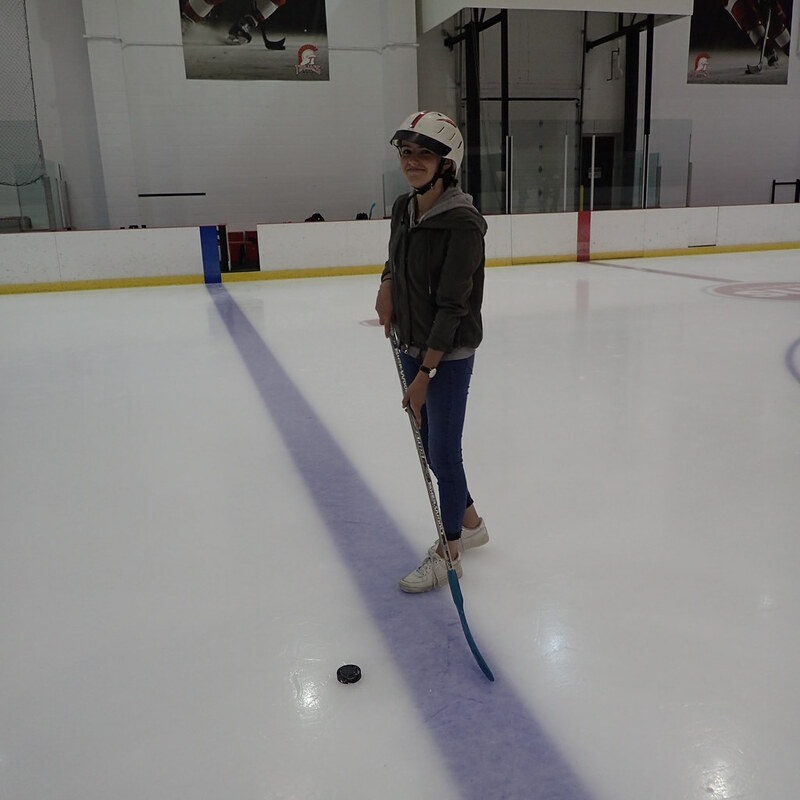 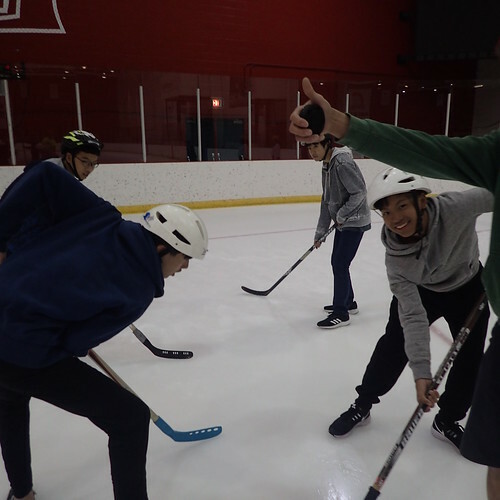 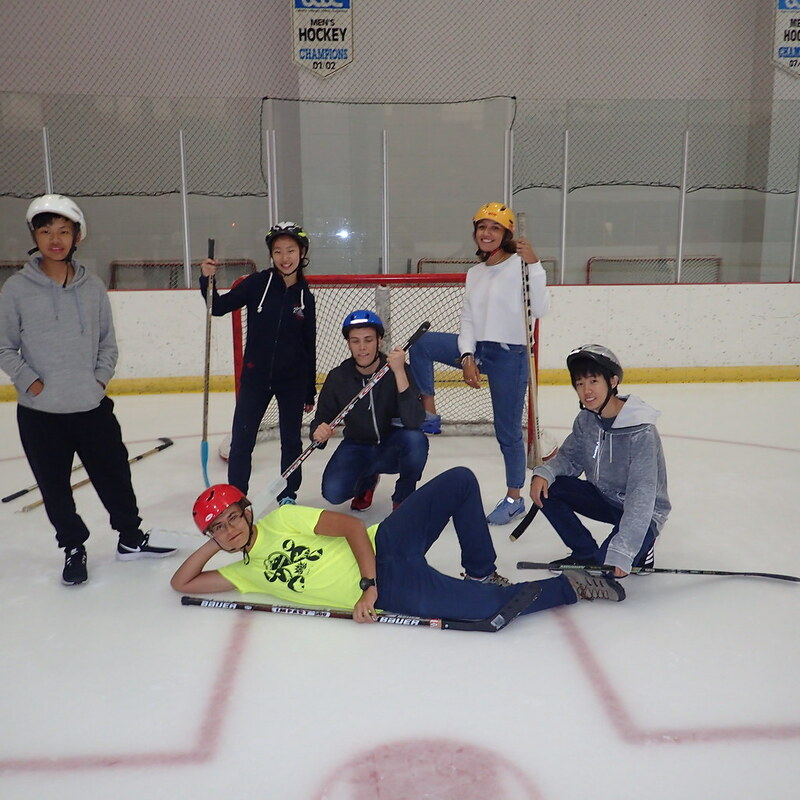 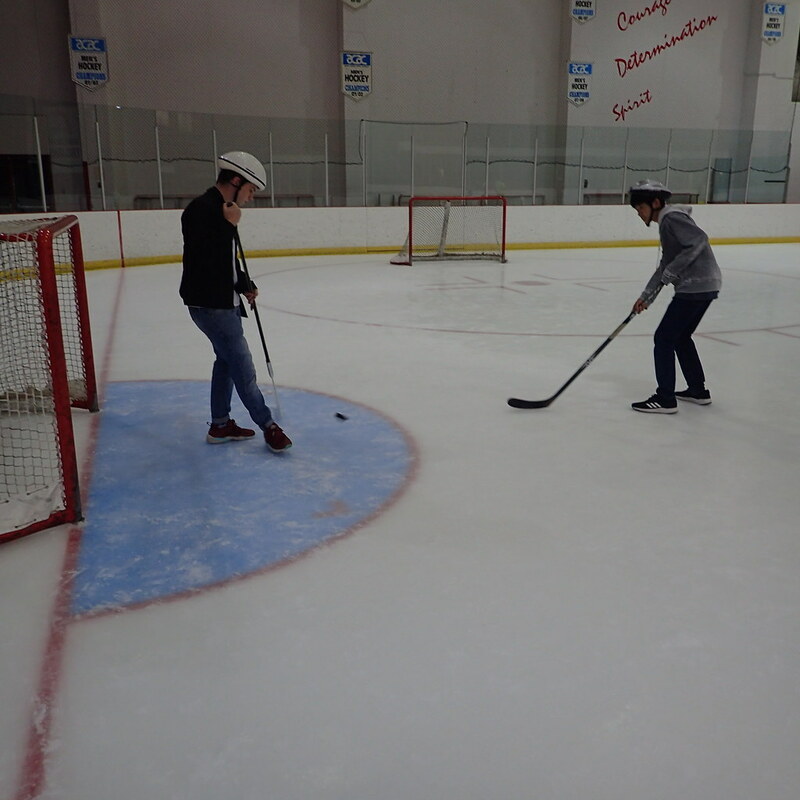 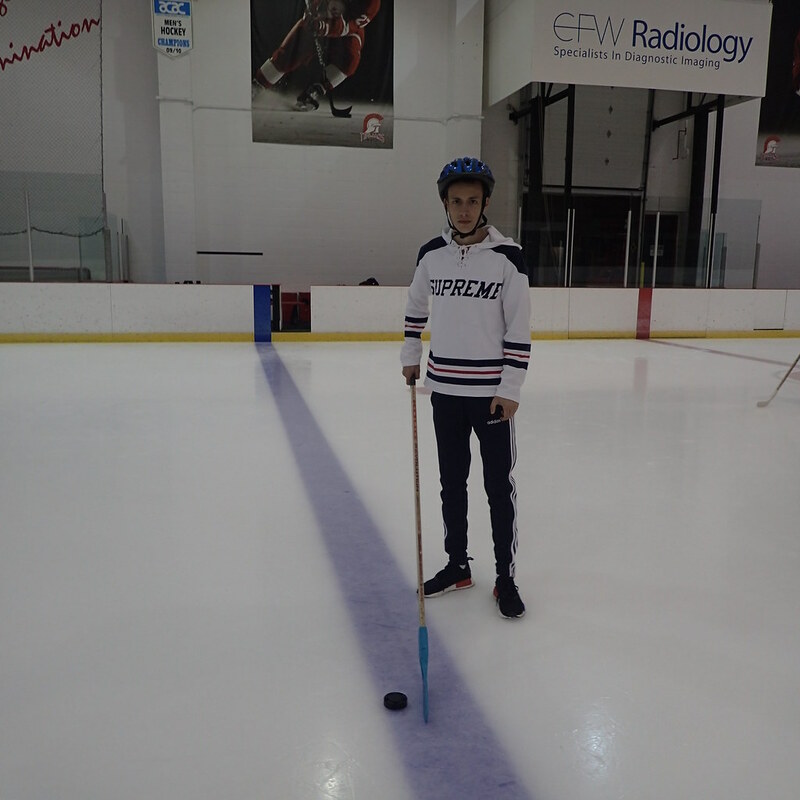 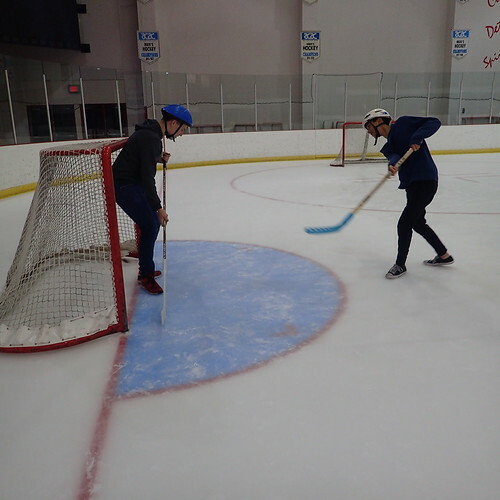 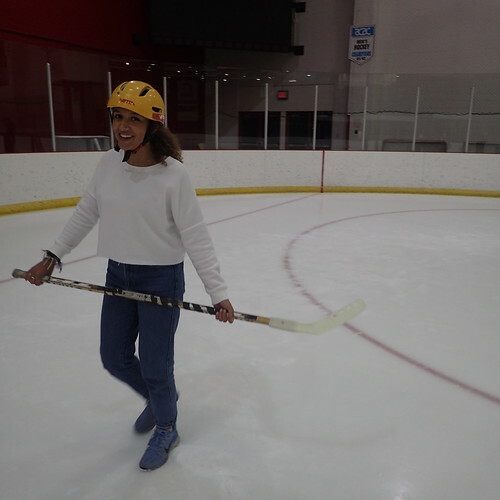 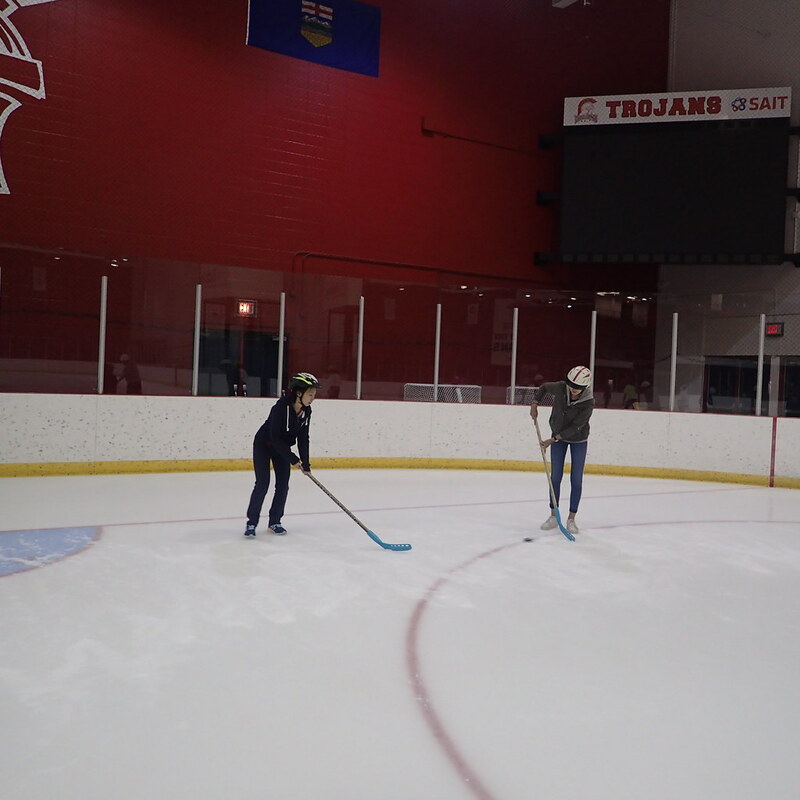 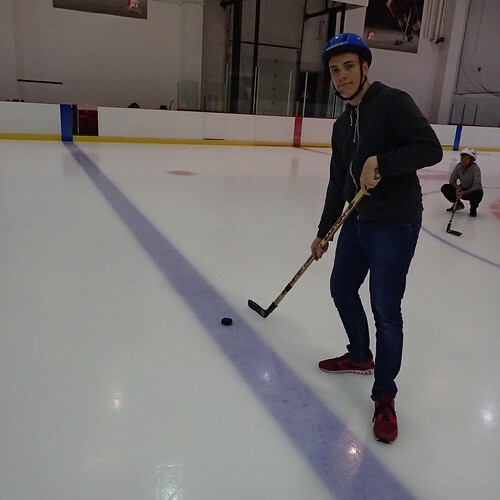 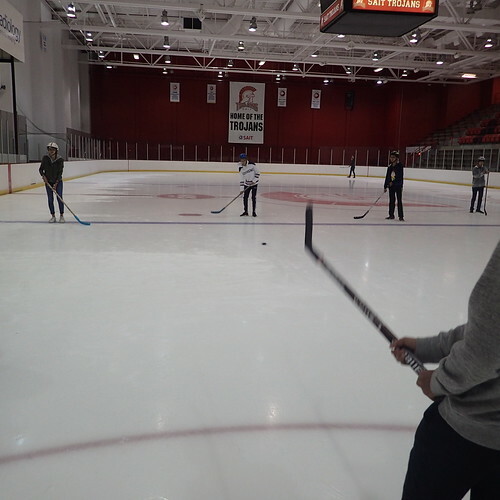 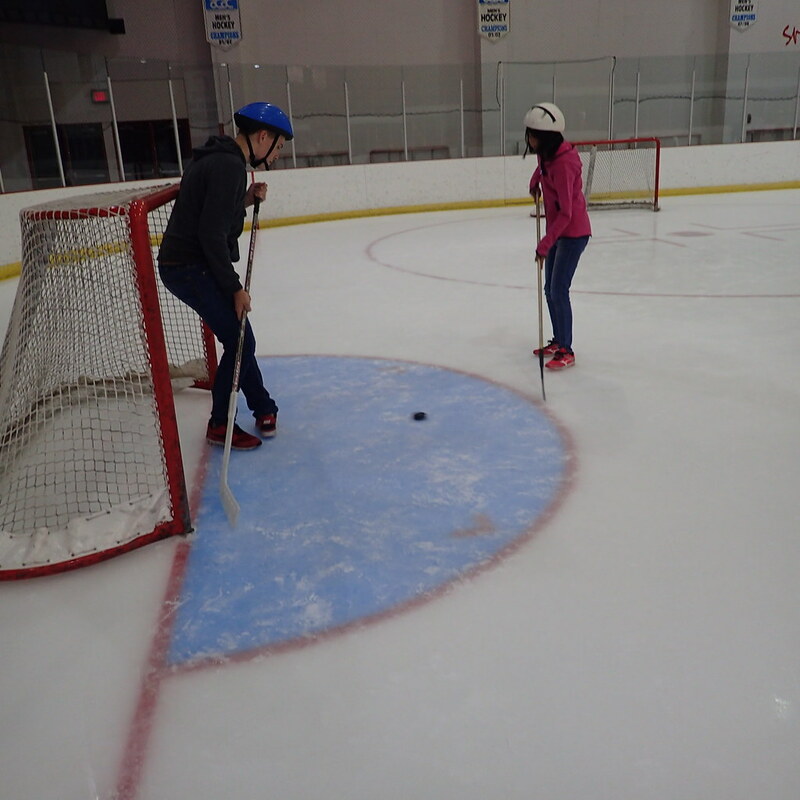 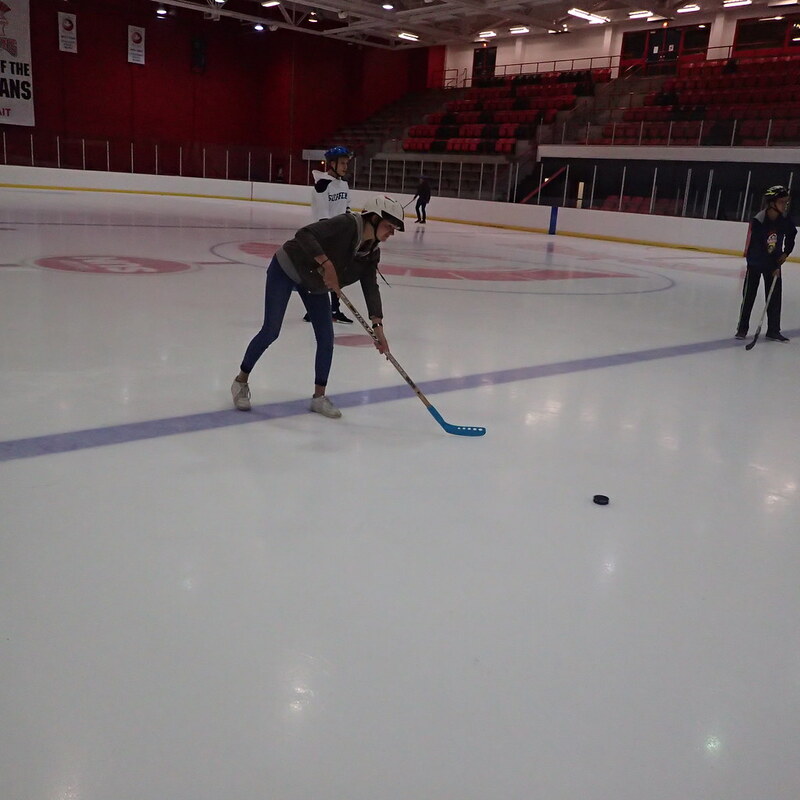 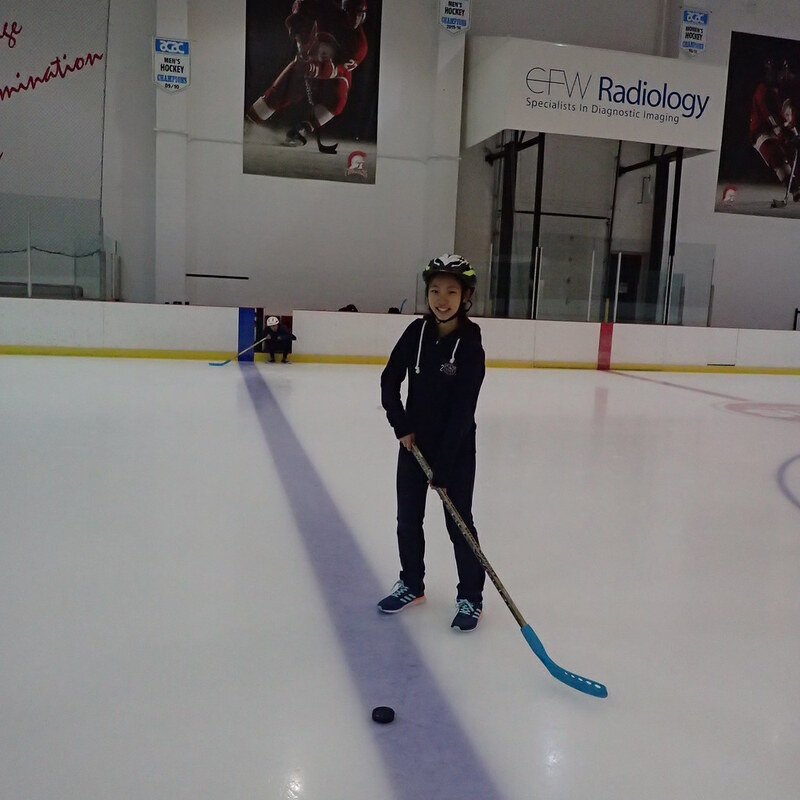 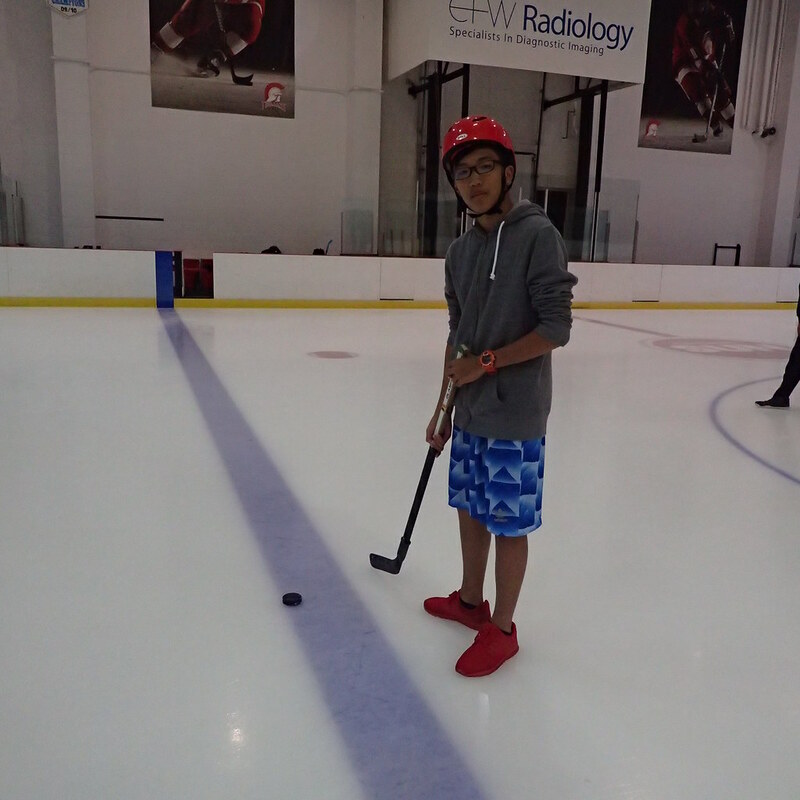 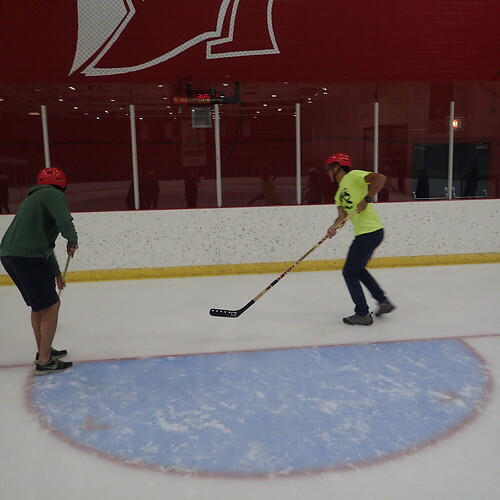 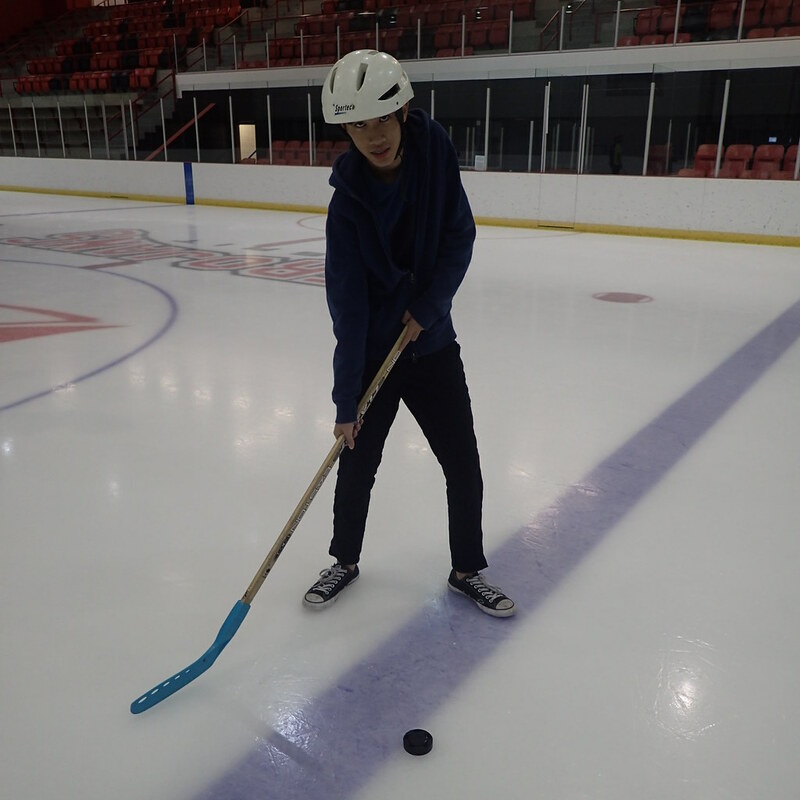 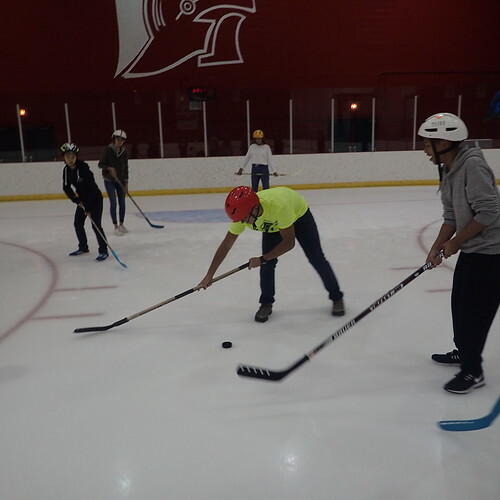 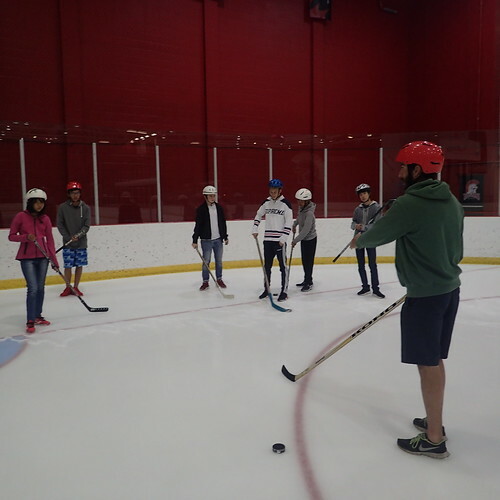 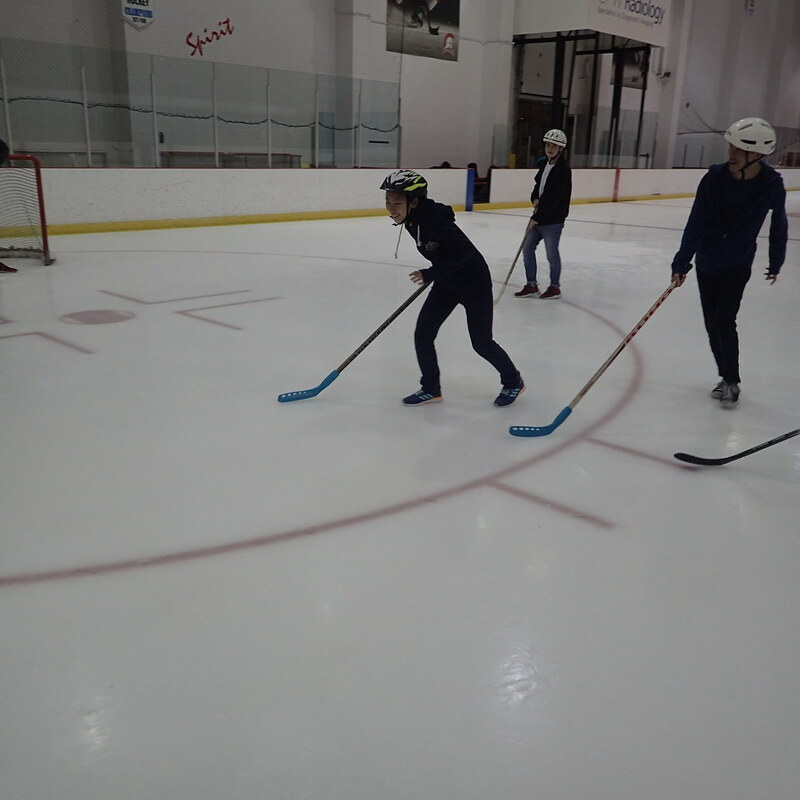 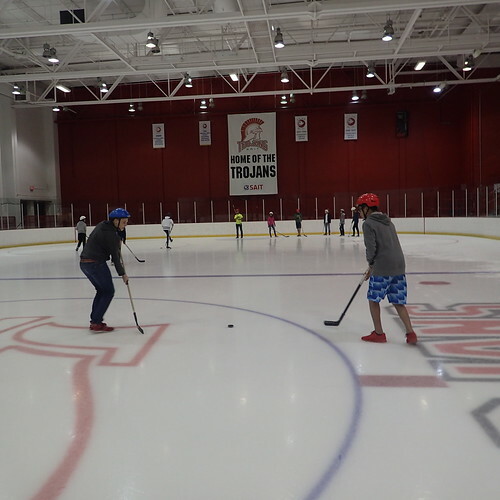 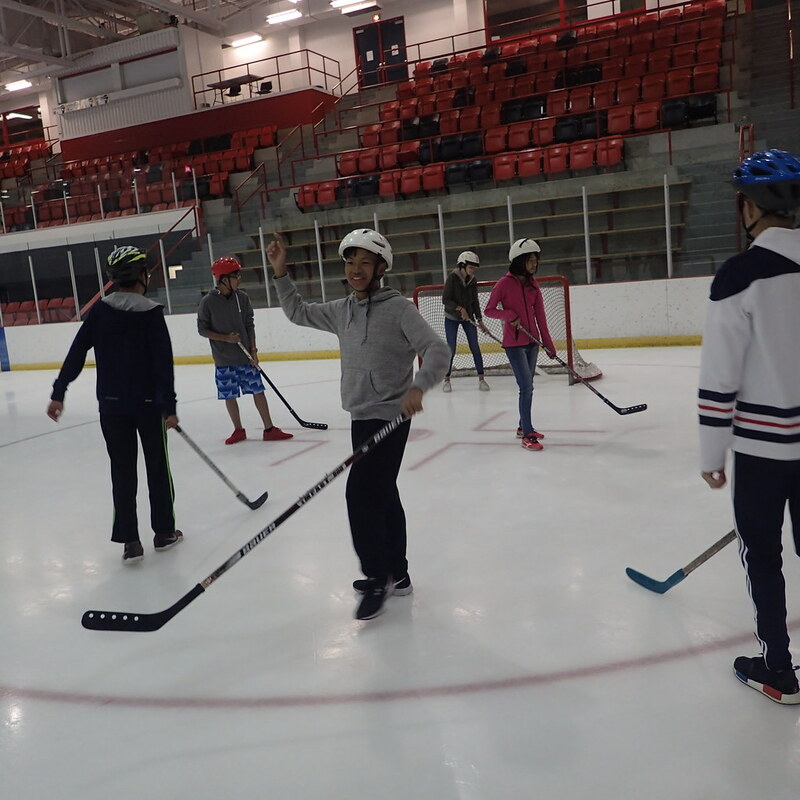 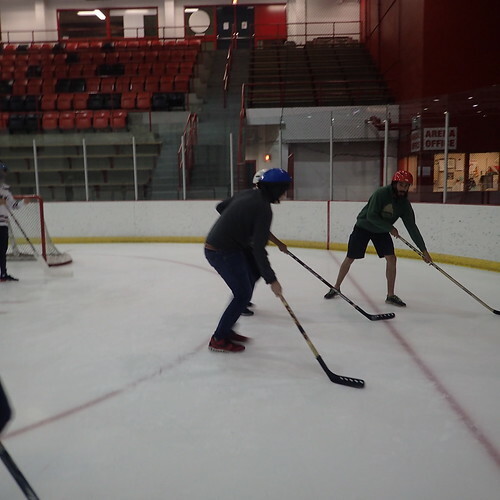 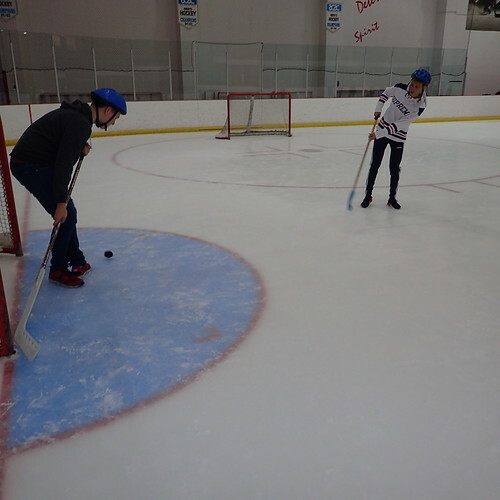 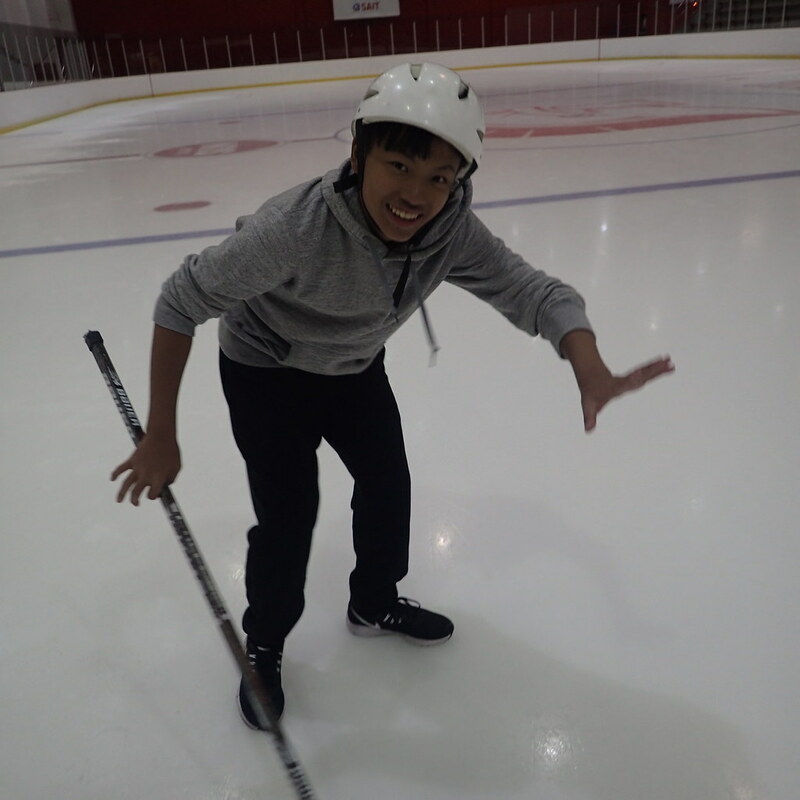 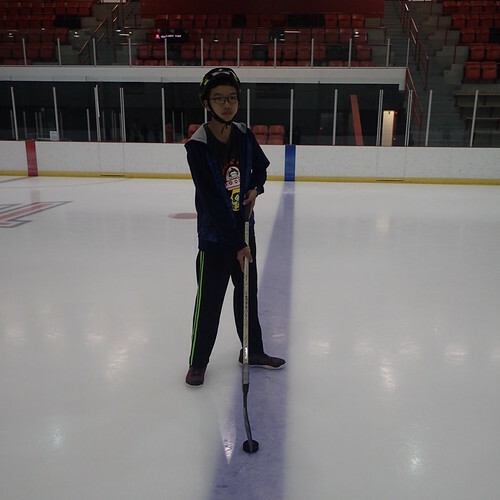 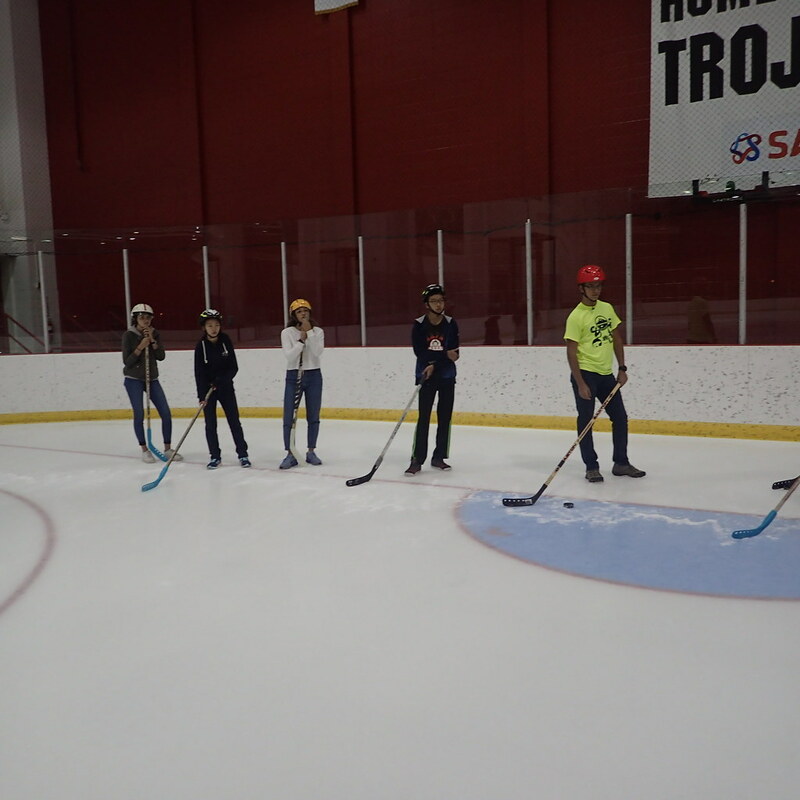 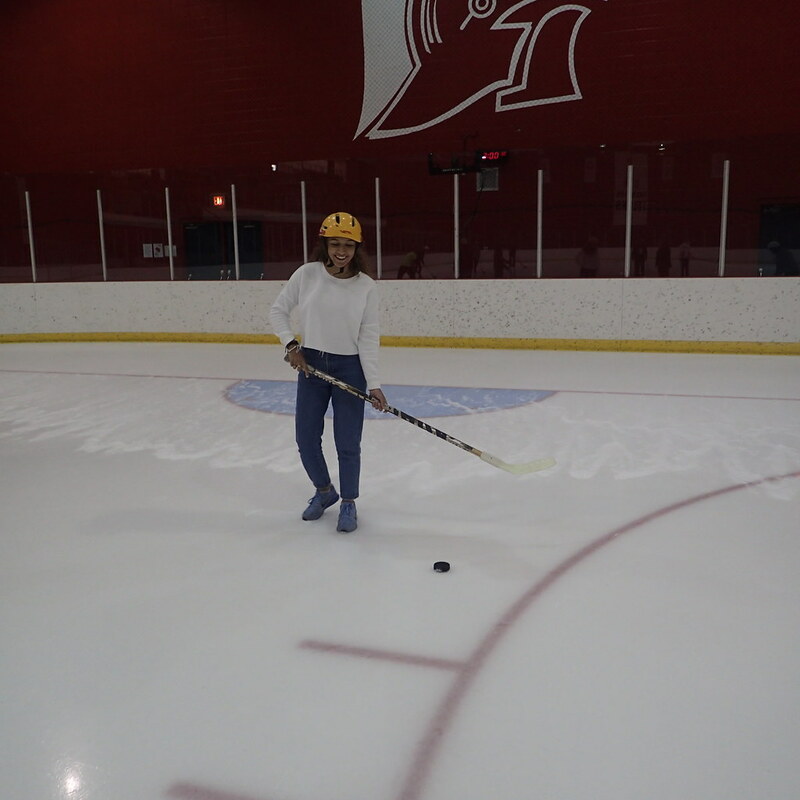 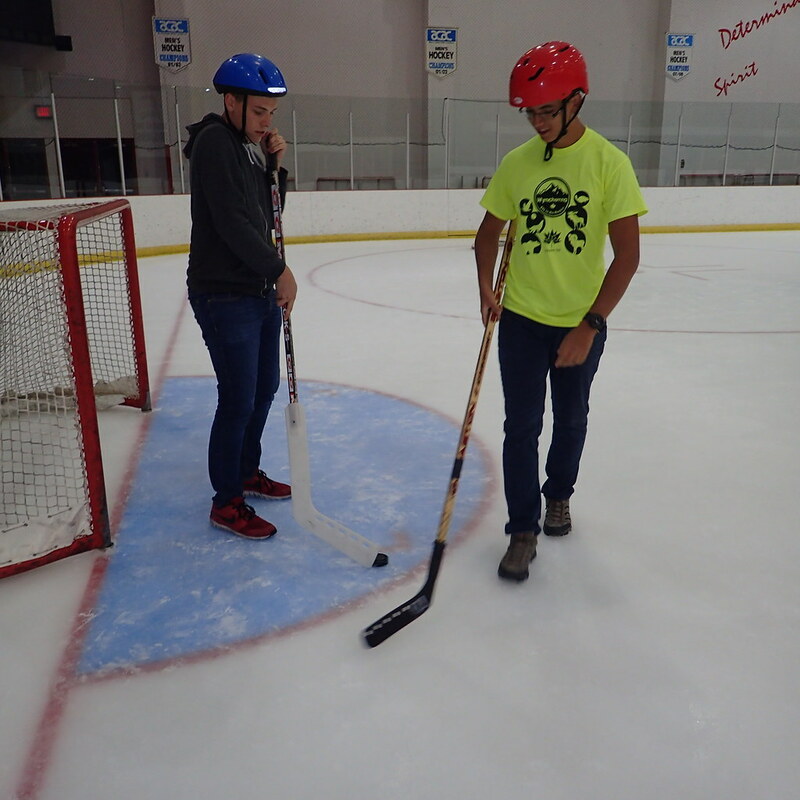 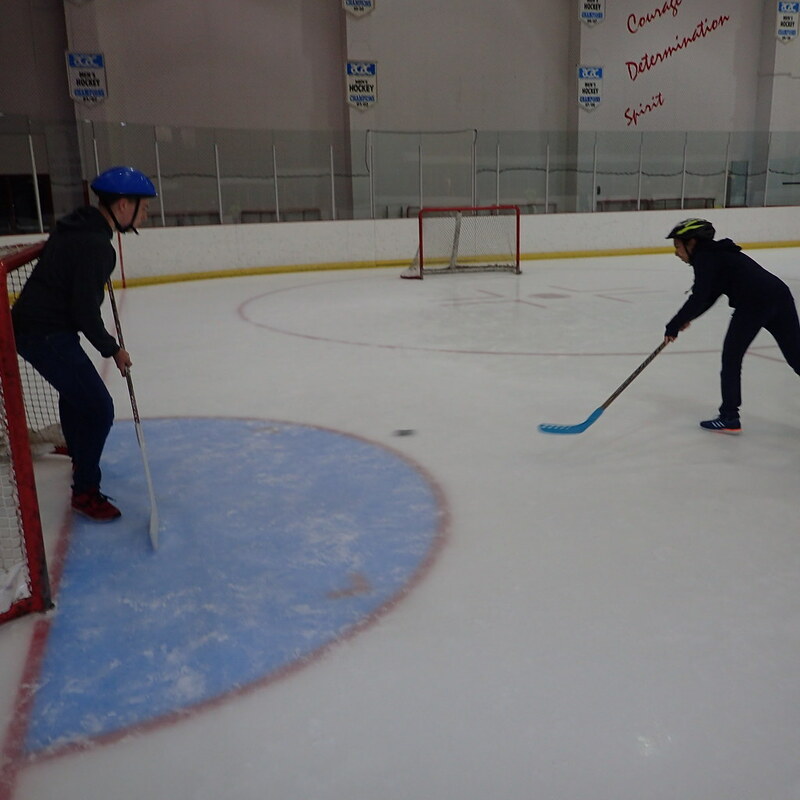 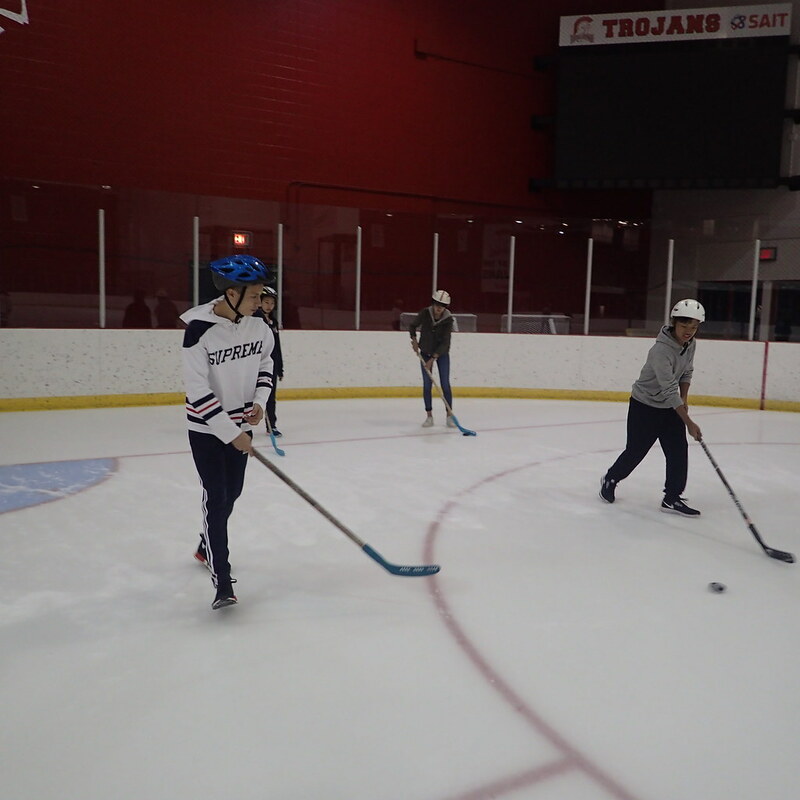 We had some surprise star players that really came out of their shell on the ice. 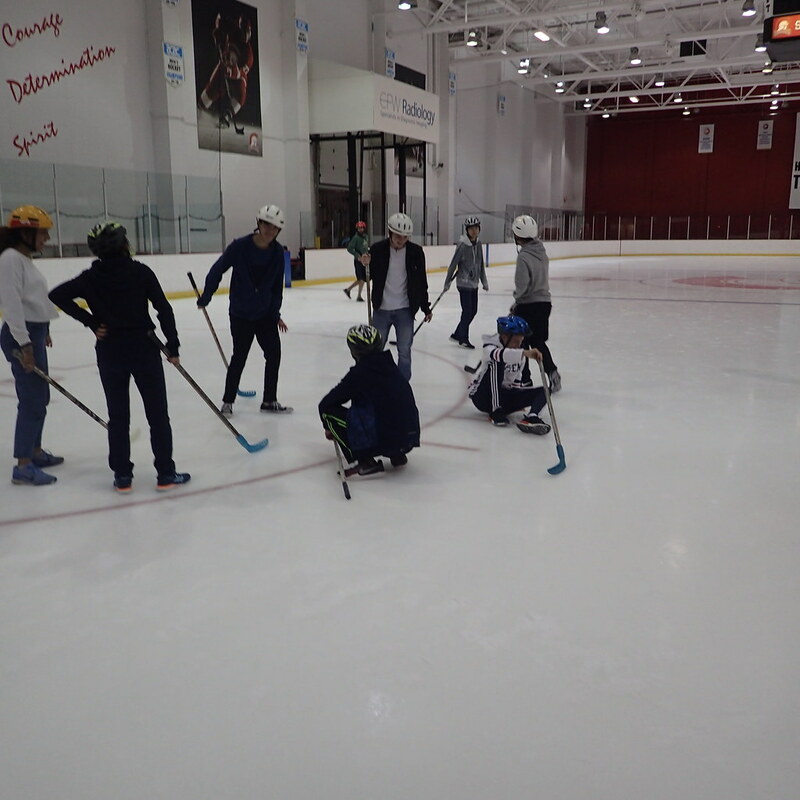 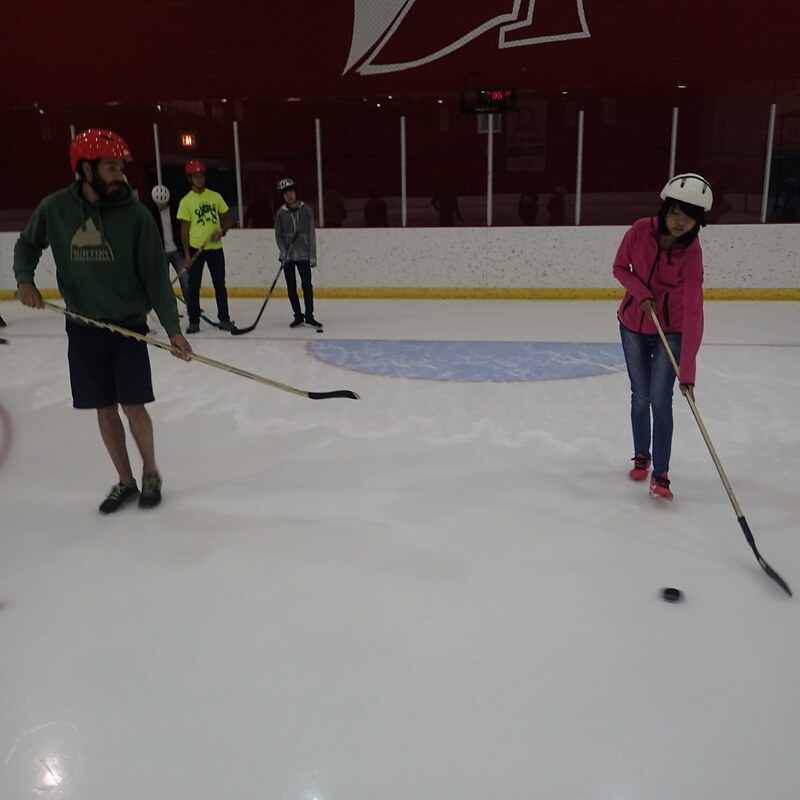 It was great to cheer each other on as they all slid around the ice! We ended our time on the ice with a very dramatic shoot out! We had some very talented goalies to guard our net and there was very few that they let in, but they couldn’t stop them all. We then headed back to residence to clean up our rooms, because we are moving tomorrow! 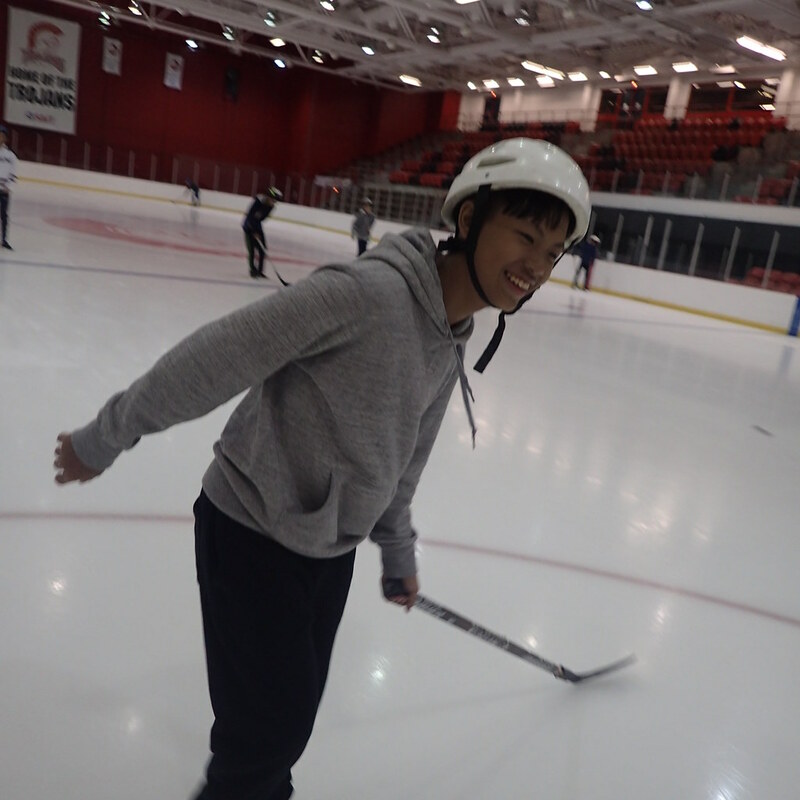 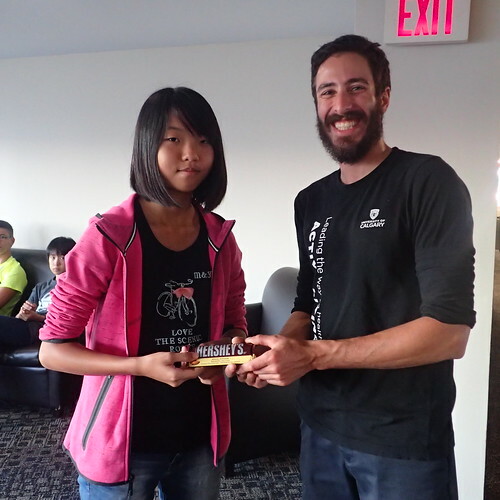 We are gonna have so many new students from all over the world joining tomorrow and we couldn’t be more excited! Going from a small group of 13 to a group of over 30 is gonna be a big change and we are all ready for it here at Wynchemna!